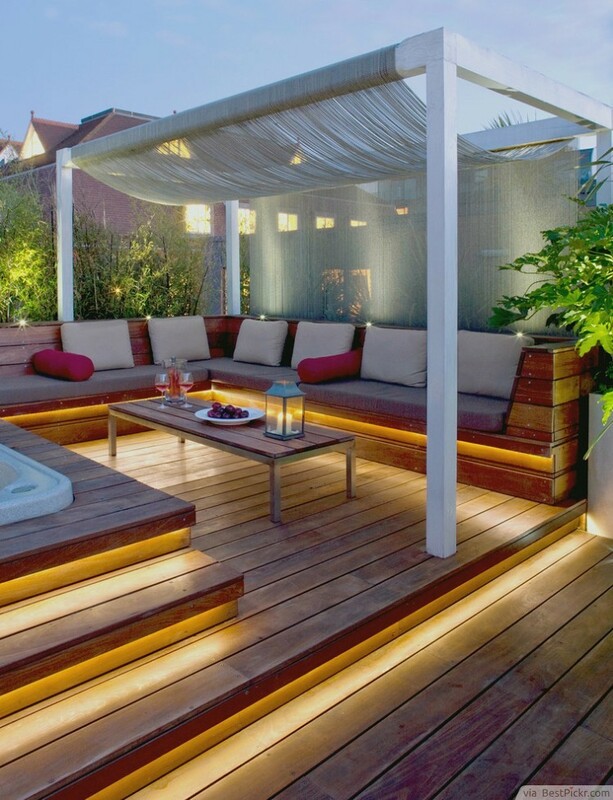 Deck patio designs can be subtle, especially if your garden already looks wonderful. Sitting on these cushioned benches in the evening to unwind and get some fresh air will be even more fantastic with the wash of layered illumination. Ideas such as this one will also look great on a detached patio.